The ESP Guitars B 206SM 6-String Bass Guitar, Natural Satin. Rocking, spalted maple topped electric bass with humbucking pickups and active EQ for big, biting tones. The ESP Guitars B 206SM is a 6-string, solid body electric bass guitar with superb playability and a luxurious spalted maple top. The Ltd Standard Basses Series, B-206SM NS is loaded with ESP SB-6 pickups and ESP ABQ3 3-Band Active EQ controls for versatile, bold tones. The smooth, thin U-shaped, 5 piece maple and walnut neck with rosewood fingerboard on an ash sculpted body with spalted maple top, plays well and looks stunning. Other features include abalone dot inlays, 24 xtra jumbo frets, ESP-LTD tuners and an ESP DB-6 bridge. The B206SM is an affordable, pro quality, 6-String bass with versatile tones and professional hardware. This bass has everything you need for this price, good looking, nut width is a bit slimmer than standard 6 strings, 24 jumbo frets, good wood for better sound, nice sustain, great 3 band electronics and 2 EMG looking pickups that give a really nice tone for all directions of music. Totally recommend this bass for first 6 string or even last that youll use. I used to play 5 string basses but decided to move up a string to increase my range. This bass is perfect: it sounds great (clear with both low and high ends), looks beautiful (much better than in the picture! ), and the price is VERY LOW for a good 6 string. 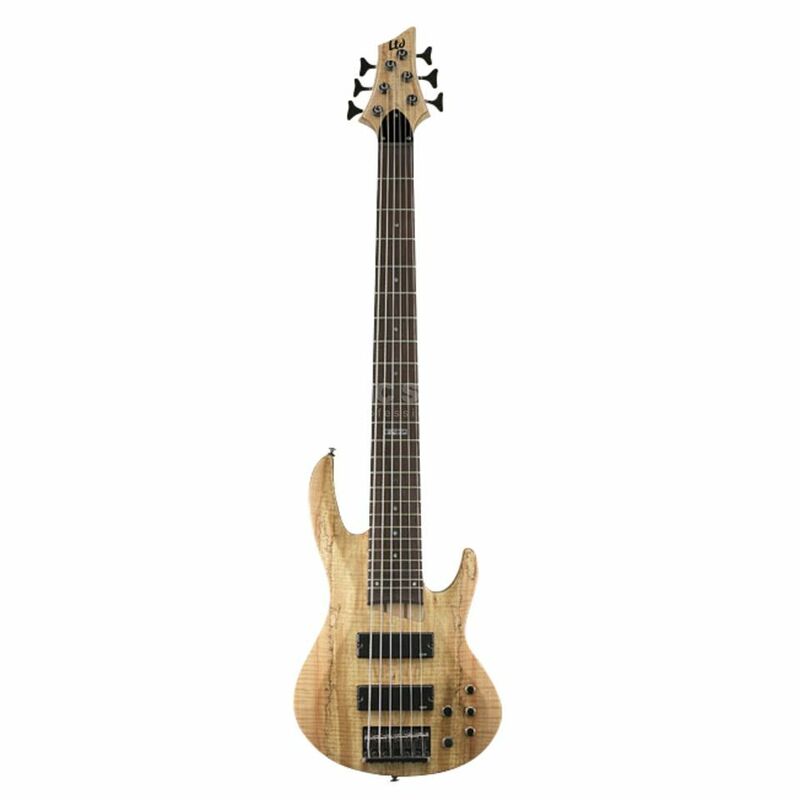 Seriously, most decent 6 string basses cost well over 700 eur! Been playing it for about 3 years now...never a single problem! Highly recommended!